The latest news from Parrot headquarters. I have been following with great interest the turbulent story (told in online posts) of a guy who made an out-of-state investment, about a year ago, in his first rental property. 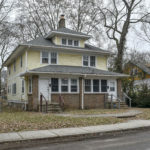 His case is interesting to me partly because it involves a house here in Indianapolis, and partly because it reads like a textbook case of things you shouldn’t do as an investor. To give the guy credit, he does get some very important stuff right as time goes by. The jury is still out on whether that will be enough to save his bacon. Let’s be clear up front that I mean no offense to this guy, if he happens to read this and figure out that I’m writing about him. I respect his enthusiasm and git-’r-done-ness. I am slow and cautious about making big moves, and if it weren’t for my sons, who created and sustained our multifaceted real estate business, I would be sitting in a rocking chair right now, muttering to myself about how I really ought to maybe someday buy a rental property. So I admire his willingness to act, as well as some other good qualities which I will return to later. Let’s also put aside, right up front, the question of whether investing out-of-state is ever a good idea. Some say no, period, but many still do it. I do think we can all at least agree that, if you’re going to do it, you’d better get everything right that you’d get right if you invested in your own backyard… and then some. Stepping outside your own field of expertise. It is strange that people who know little about real estate or construction, seem to feel comfortable plunking down large sums for an investment property. Perhaps they think, “I went to Princeton. How hard can this be?” The answer is, “It can be very hard.” I was in the construction business for many years, and I have seen this attitude there also. I have known Ivy league grads to drop air conditioners out of 2nd floor windows, drill through live wires and pipes, and generally make an ugly hash out of things, because they felt their law degrees qualified them to do handyman work. Intelligence is a fine thing. I wish I had some. But it is not always an adequate substitute for knowledge of the specifics of a trade or profession. If you know little or nothing about a business, it might behoove you to go slowly, spend time educating yourself, and recognize your limits. The subject of our story does begin to educate himself… a little too late, maybe. Yielding to sales pressure. As the story begins, our investor has been inspired (by a podcast) to invest with a particular turnkey company. He contacts them and after some back and forth is offered a house. He’s interested, he does what he feels is a lot of research, but which realistically is not much research at all, and then… the property is sold to someone else. Now our hero is primed. He had the thing in his hands and it slipped away. It is explained to him that when another property comes along, he needs to act quickly or it will be snapped up. So there, on the first page of this post, is what I consider a glaring red flag: an exhortation to act fast! Now sometimes, a buyer must act fast. We have all lost properties to people who got there first, and the old saying “He who arrives late, finds only bones” can be painfully true. But the buyer has to determine for himself, when and if he is ready to act. My own experience with people telling me to hurry up and buy has never been good, and my experience has also taught me that if you have a good product, you don’t need to harangue people to hurry up and buy it. But our investor, although he does do some research on the first house he was offered, and to his credit turns down a second one, jumps on the next one with no mention of any research. Now it seems to me very unrealistic that out of three houses offered, two would meet any kind of standard at all. I have been told by poker players that, while a “fun” player wants to bid on every hand, a professional makes a serious play on very, very few of his hands. And in this business the same principle holds true. Our small family-owned company did a lot of marketing for wholesale deals last year. We received thousands of phone calls and looked at hundreds of houses. We purchased a small fraction of them, and kept an even smaller fraction to hold in our personal portfolio. As you might expect, they are indeed very nice little houses, and are producing nicely, and there are no problems, and everyone is happy. You can accomplish that, if you say “no” to almost everything, and only buy a tiny fraction of a percent of the houses that you look at. No independent inspection. At least, there is no mention of one. Every bit of information about the state and condition of the house comes from the sellers and people involved with the sellers. There is no third-party input whatsoever. I have been told, although I do not know for a fact, that the company involved in this story will not allow up-front inspections. And if so, that should be the end of our story right there. You: So this toaster oven, you say it’s real special? Seller: The best. Should last, like, literally forever. You: Okay, then, I’ll drive over and take a look. Seller: Oh no you won’t. Seller: You can’t look at it until you buy it. Then, afterwards… maybe. You: Okay then, I’ll give you the money and find out later if the toaster oven works. Thank you for this opportunity. I don’t think I need to go on with this. You see the absurdity. Why do people abandon the common sense that they bring to appliance purchases, when they purchase a house? Because they are not thrilled to buy a toaster oven. They are thrilled to buy an investment property, thrilled to exclamation points! And it is hard to set that aside and look at things with a cooler head. But just as there’s always another toaster oven, there really is always another house. Communication failures. There is nothing really glaring at the beginning of this post, but there are unreturned calls and things that are supposed to be done that don’t get done promptly. This is not a promising start to a business venture taking place a few thousand miles from home. Imagine you’ve sunk your life savings into a property two thousand miles away. You have to trust a distant property manager… whom you’ve never met… to tend to things for you. And he disappears for days at a time. Here’s a way to make this more relatable. It is a little like your beloved dog has run away. You call, you walk the neighborhood, and finally there’s nothing you can do but wait and be miserable with worry. And your dog is carrying a pouch with fifty thousand dollars of your money in it. Okay, maybe he comes back, tears of joy, etc etc. But you never know when he might do that again. Someone who wants to manage your life savings for you, but doesn’t return your calls, should be thrown over the side with no hesitation. Wishful thinking, and too much trust. I contend that most of what happens in life, and especially in business, is covered in the movie “The Godfather”, which after all is about people operating in an intensely competitive business environment: organized crime. The line, “Don Corleone insists on hearing bad news immediately,” for example, contains a real nugget of wisdom. A great deal less would go wrong, both in our lives and in our businesses, if we cultivated that attitude. But how many of us are never guilty of averting our eyes from things we would rather not see? The gentleman in our story shows a lot of signs of not wanting to hear the bad news. (Maybe he never saw the movie?) 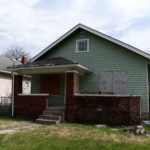 There are repeated warnings from experienced investors following the post, from helpful Indy locals, and other real estate experts: these class low-C and D investments often don’t pay off, these rehab costs are unrealistic, income projections are unrealistic, the neighborhood is not as good as advertised, etc etc. And to his credit, our man does begin asking a lot of hard questions of the seller… to which he does not get adequate answers. As happy as he is to ignore bad news, he is equally eager to believe unrealistically good news. For example, after his property, which was supposedly extensively rehabbed for an unreasonably low sum of money, is supposedly rented… he begins receiving rent checks. And every month, he receives the same rent check, with no deduction whatever for any repair of any sort, for nine months. Think about that. A rundown house in a neighborhood that is working class at best (nothing against working people, have always been one myself, salt of the earth, etc etc) and that was obviously cheaply redone, goes for nine months without anyone ever so much as having to turn a screw, drive a nail, replace a furnace filter, clean a gutter, unclog a drain, replace a broken screen, fix a dryer… nothing. Now if an owner really is zealous about fixing up a place so as to front-load the maintenance costs, and knows how to do that, and spends the money to do it, it is possible, just possible, that he might accomplish that. But the odds ain’t good. 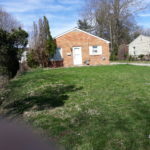 And with a rundown house, a class C or D tenant (no offense, salt of the earth, etc etc) and an obviously cheap rehab, I think it’s about as likely as me being able to swim from here to China, underwater. The absence of repair costs, tenant troubles, or any unpleasant surprises of any kind, should raise an eyebrow. But for this eager gentleman, no news was good news. This is not that different from what Bernie Madoff’s victims did to themselves. Everyone knows that you cannot make large gains in the stock market year after year, with nary a loss. It is so improbable as to be virtually impossible. But that is what Madoff’s clients did. And it did not arouse their suspicion. This also goes back to the need to do one’s homework up front. It so happens that I once saw a TV show about the Madoff affair, and an old acquaintance of Madoff’s told the interviewer that Madoff’s high school nickname was… well, I don’t suppose I should say what it was. But it refers to an agricultural byproduct which in popular vernacular has become synonymous with untruthful or exaggerated statements. I think the next time I am considering investing money with a man, I will enquire into what his nickname was in high school. It is likely to be cruel but accurate. And if it has words like “Larceny” or “Total Loss” in it… well, I don’t know what I’ll do. Oh all right, his nickname was “B******t Madoff”. And if people had known that, they might have saved themselves a few billion dollars. He acts. There has to be a balance between caution and action. But a terrible thing happens if you don’t act: nothing. This is one thing this guy does right: he makes his move. All the best plans, doing research, making lists, and so forth, are of no value if you don’t eventually make a play. As the guy said who spent five years of his life building a boat, and was asked if there might have been another use for that time: “Well, I guess I could have spent five years NOT building it.” It is said that most ot the regrets of dying people are over things that they failed to attempt, not things that they did that turned out badly. He is persistent. He pursues the seller / manager and peppers him with questions. He eventually flies halfway across the country to view the property. He sticks to the problem with real tenacity, when it would be easier to just flush it and move on. This is an absolutely essential attribute to success in this sort of business, and maybe in any business. He asks for advice from experienced people, in a public forum. One real obstacle to learning is the desire to appear to already know. It is a common problem in classroom teaching. Students will sit, and nod, and smile in perfect understanding, and have no idea at all what the teacher is talking about. And everyone is enormously but secretly relieved when that one guy speaks up and says, “Huh? I don’t get it.” This is that guy. He seems unembarrassed to admit that he may have blundered away his kids’ college fund, and to ask for advice. Which shows some character, if you ask me. And in conclusion… The end game of this investment is playing out as I write (March 2018). There now appears to be some concern, more than some, actually, that the seller may have been guilty of certain, ah, irregularities; that the property is not occupied as was claimed; that the property may not have been occupied for some time, during which time the owner was receiving rent checks; that the property may never have been occupied; that the sales and management company was operating without a license, and has been legally challenged; that the company has ceased to exist, and that both owners and tenants are up a certain creek without a paddle; and that in general strange doings are afoot. An investigation is underway, and time will tell. Real estate is not an altruistic field. But people who invest in rental properties do provide a vital service: they create affordable places for people to live. If you invest wisely, you can have a sustainable business with happy tenants and some money in your pocket. If you invest unwisely, not only do you lose, but the people who might have wanted to rent from you lose too: they have fewer options. And the harm does not end there. In many fields of endeavor, people who don’t know what they’re about can make life difficult for people who do, without gaining anything for themselves. Amateur investors in a feeding frenzy can drive up the cost of property to a level where the professionals will simply sit the game out. Thus people who might be able to make a viable rental property of a given house, will lose it to an amateur who is going to go broke on it and then abandon it to sit empty. It is a lose-lose-lose situation. And by buying borderline properties at inflated prices, believing unrealistic projections, and failing to recognize real quality, they make business impossible for those who might like to offer a better product for a little more. My company, for example, would love to be able to move into selling quality turnkey properties. But we don’t see how realistic return projections can ever compete with unrealistic, inflated ones, as long as amateur investors don’t know the difference. Being local, and curious, I looked up our investor in the tax rolls, found his house and drove by it. Both the house and the area are far from the worst I have seen. The block does have some pickup trucks and other signs that people there are working. Most houses on the block are maintained. The house in question looks very tidy and sits on a large corner lot with mature pine trees out front. A short distance away is a wide creek, full to the bank when I saw it, which adds charm… but wait a minute… does that mean he could be in a flood plain? And so it goes. I will continue to follow this story as long as the gentleman is kind enough to continue to share his experiences with us. His tale, honestly told, will be a great education for the many who will no doubt come after him.